In the summer of 1890, Bishop John Joseph Hogan decided that a parish should be organized to serve the growing Wyatt Park addition to the city’s east side. The Bishop chose the Society of the Precious Blood of Carthagena, Ohio, to build the church and to found and maintain the parish, which was formally organized in September 1890. The original church, school and rectory were dedicated in June 1891. The present rectory was built in 1906. It was often then called the Mission House, as missionaries passing through the area were welcome to stay. The present Gothic revival brick church, trimmed in cut stone, was designed by Edmond J. Eckel and dedicated in February 1909. 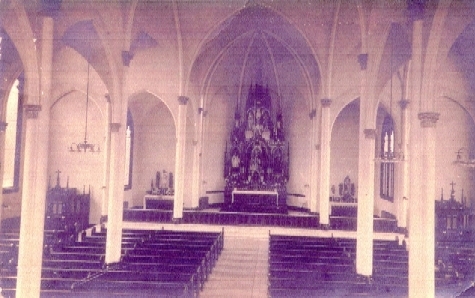 In the early 1970’s, the Baroque Gothic high altar and side altars were removed and the entire worship space was remodeled in a contemporary design. Above a new, flat chancel wall, a free-standing Moller pipe organ was installed on a shelf in the peak of the apse. Church members collected and stored the original furnishings in their homes and businesses for more than 25 years until the decision was made to return the building to its original style. 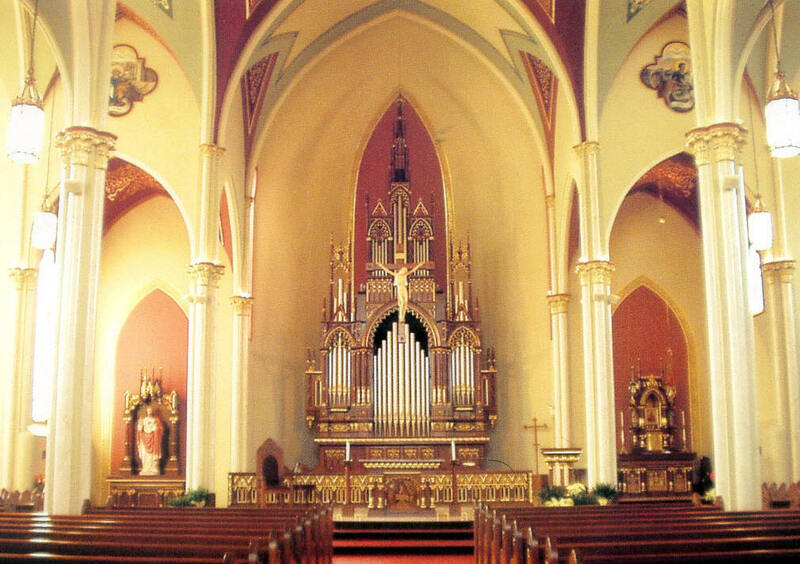 The side altars were restored while the former high altar was incorporated into the rebuilt organ as an organ screen by Quimby Pipe Organs, Inc.